As the mushroom cloud slowly dispersed back to the centre of the explosion, a small shockwave emitted and was sent onwards throughout the universe. A few light years away, the shockwave hit a few Metrolian battleships and a few seconds later, they were completely destroyed. On all the Metrolian controlled planets, Metrolian soldiers marched through the streets and did their daily duties until the shockwave past through all their planets. They were all startled at first, and then they all questioned each other. .
“What the hell was that?!”. A few seconds later, sparks started to appear within the cybernetics in their heads. They all groaned and screamed in pain until they all fell to their knees and one by one, they all dropped dead. Some of the troopers heads exploded in the process. On the planet Slethearian and other planets the Metrolians were in battle with, the shockwave past straight through all of them, which startled the Metrolians and the alien races they were in battle with. But before they could continue to fight, sparks appeared within the cybernetics of all the Metrolians heads. They all screamed in agony and one by one, they all dropped dead with some exploded heads. The Slethearians and other alien races were at first startled and confused, but eventually all let out a cheer and started to celebrate. When the mushroom cloud completely disappeared, a radioactive nebula slowly formed and took its place. It was over half the size of the mushroom cloud. Some small debris was all that was left of the warship and they were within the nebula. Charles, Dave, Carol, Vicky and Helen were in the Enterprise observation room and they were incredibly tearful. Carol continued cry her eyes out. “Carol? Please calm down?” she asked tearfully. “How can I calm down? Cathy is my best friend and Simon is my lover. And they’re both dead!” sobbed Carol. She then ran out of the observation room as she cried. Charles looked out into space. He pondered for a moment. He then wiped the tears off his eyes and ran towards the shuttle bay. He put on a radiation space suit, got into a fighter, took off into space and headed for the nebula. After a couple of minutes, Charles spotted something that sparkled within the nebula. He flew towards it in the fighter. When he approached it, he was completely shocked and awestruck on what he saw. He opened the cockpit door and brought it inside the fighter. A few seconds later, made his way out of the nebula and slowly returned to the Enterprise. Meanwhile back on the Enterprise, Chucky entered the observation room still extremely tearful. “Chucky? Are you alright, mate?” asked Dave who was a little bit tearful. “I’ll be fine,” said Chucky quietly and tearfully. “Look, I don’t mean to rude or anything, but could you guys leave me alone for a little while?” asked Chucky quietly and tearfully. Dave, Helen and Vicky left the observation room tearfully. Chucky then took a long hard look out towards the nebula. Charles then entered the room. “Charles, could you leave me alone for a while?” asked Chucky quietly. “Wait, Chucky. I have to give you something,” stated Charles. “Well, can you give it to me later? Now’s not the best time” stated Chucky. Charles then headed closer towards Chucky. Chucky started to get angry. “Charles, I mean it! Get out now!” stated Chucky angrily. Charles continued to move towards him. Chucky was about to lose his temper. “GET OUT NOW!! !” he yelled. He then turned round to punch Charles, but Charles grabbed his arm and placed something in his hand. “Chucky, calm down! Listen to me. I searched the nebula for any sign for Simon and Cathy, but… all I found was this” explained Charles. Chucky opened his hand and saw the item. Chucky then fell to his knees. He looked on with extreme grief. He then started to cry again shortly afterwards. “This… this can’t be. She… she’s dead? S… Simon as well?” sobbed Chucky. “I’m afraid so” said Charles quietly and tearfully. “No… no! How could I do this?” sobbed Chucky. “You had no choice, Chucky! If you didn’t do it, half the universe would’ve been destroyed,” stated Charles tearfully. “But… but, Cathy. I miss her! And… I love her!” sobbed Chucky. Chucky then continued to cry. After a few seconds later, Charles left the room. Dave, Vicky and Helen were in the corridor. “How is he?” she asked tearfully. “He’s not taking very well. How’s Carol?” asked Charles as he wiped his tears off his face. “She’s very upset,” said Dave. “Is there anything we can do for them?” asked Helen tearfully. “Hello, Rogue Warriors?” said Zeus through the communicator. “Professor Zeus?” asked Charles through his communicator. “Yes, Charles. How is everybody?” asked Zeus. “We’re… we’re taking a lot of time to adjust to the event that just happened” explained Charles quietly. “I see. Well… We are victorious. I’ll help you to repair as much of your ship as I can,” stated Zeus quietly. “Thank you, Professor” said Charles quietly. “Helen, go and keep Carol some company. Dave, Vicky, Let’s go and greet Zeus on the ship and get the repairs underway” ordered Charles quietly. “Ok, Charles” said Dave, Helen and Vicky quietly. A few days later, Zeus’s ship towed the Enterprise back to their home planet. Both ships entered the atmosphere and landed on the planet. After a couple of hours, Zeus and what was left of the Rogue Warriors created a funeral setting to pay their respects for Simon and Cathy. They were all smartly dressed. There were two gravestones. One had Simon’s name imprinted on it whilst the other had Cathy’s name imprinted. Both gravestones also said that they sacrificed their lives to save the universe. After a few seconds of mourning, Zeus got a wine bottle out and poured drinks for the Rogue Warriors. They all then raised their glasses. “To Simon and Cathy” said Zeus respectfully. “They are the heroes of the universe,” stated Dave respectfully. “They were good friends,” said Vicky tearfully. “They were the best,” said Charles respectfully. “I will miss them both,” sobbed Helen. “Cathy’s my best friend. And… Simon will always be in my heart,” sobbed Carol. “Simon will always be my friend. And… I will always love Cathy,” sobbed Chucky. They all then started to drink their wines. A few minutes later, a small metal ball entered the planet’s atmosphere and fell towards the funeral setting. The ball then landed softly in front of them. It then opened up and emitted a beam of light that went round in a circle. Zeus and the Rogue Warriors were startled at this. A few seconds later, the light switched itself off. “SCAN COMPLETE. AREA SECURE. BEGIN LIVE MESSAGE” said the ball. “Live message?” asked Charles confusingly. The ball then emitted another beam of light above itself and revealed a holographic image of Simon and Cathy without her bracelet. Zeus and the Rogue Warriors looked incredibly awestruck and surprised. “Huh. My second funeral doesn’t seem to be as fancy as my first one,” joked Simon. “Simon? Cathy? Is it really you?” asked Carol with hope. “Yes, Carol. It’s us,” said Cathy. Both Chucky and Carol ran tearfully and attempted to hug them but instead ran straight through them and ended up collapsing on the floor. “What’s going on?” asked Chucky confusingly as he picked himself up. “Are you ghosts?” asked Helen. “No, we’re not ghosts. These are holograms,” explained Cathy. “We can assure you all that we are alive,” stated Simon. “Alive? How? You both died when the warship blew up,” stated Dave with confusion. “Yes. But the life forces of my people survived the explosion and were able to find a new home. We know live on the planet Daldar. My life force had settled there as well and has brought me back to life” explained Cathy. “Wait, what? How?” asked Dave with extreme confusion. “We Polymorphs have two lives. When we die before old age, our life forces can exit our old bodies and regenerate into a new one which will be the exact copy of our old one” explained Cathy. “Wait, so you knew that you were going to be ok this whole time? And you didn’t even tell us? !” asked Vicky hysterically. “No, I didn’t know that my life force or even my people’s life force would’ve survived the explosion. It was a large nuclear blast after all. The size of two gas giant planets” explained Cathy. The others seemed to have understood this. “But, how is Simon alive? He isn’t a Polymorph like you. He’s a Human,” stated Vicky. “When the Polymorphs were brought back to life, Cathy explained to them about my heroic sacrifice. They had then banded together and used their power to resurrect me,” explained Simon. Carol understood this and smiled happily but the others were confused. “You mean by wishing?” asked Charles. “But I thought you said Polymorphs can’t resurrect anybody by wishing. You said it was impossible,” stated Charles. “No, I said one Polymorph can’t wish a person back to life. One! If the Polymorphs combine their power together and wish for the same thing, then we can bring a person back to life” explained Cathy. “Well, now we can be together again. You and Cathy should get on a ship and come down here to be with us,” stated Carol happily. “I’m afraid not. The Polymorph society is still currently being reborn. They don’t have the current technology to build spaceships,” explained Simon. “That’s ok. We can just come to you on the Enterprise. Right, Chucky?” asked Carol. “We can’t. The Enterprise had sustained too much damage in the battle. We only had enough power to come back here. It’s unsalvageable now,” stated Chucky sadly. “Well guess there’s only one thing to do then,” sighed Carol. Carol then closed her eyes and started to shed a tear. “I wish that Si…” started Carol until Simon interrupted her. “Carol, listen to me. I’m not liking this as well, but you have to live on without me,” explained Simon. “Don’t you dare say that! I can’t live on without you!” shouted Carol tearfully. “I’m sorry, but you must. It could be decades before the Polymorphs can build spaceships again. The Polymorphs need me here to help rebuild their shattered society. Please don’t be sad for me. Whenever you’re lonely and feel afraid, just look into your heart and think of me” explained Simon. “Are y-you saying… that… you don’t want t-to… be with me?” she whimpered. “No, I’m not saying that. I am saying that I want to help your people out, the way you’ve helped me and the way I’ve helped you,” explained Simon. “But, I’ll n-never get t-to see you again! … I love you, Simon,” cried Carol. “I love you too, Carol. And don’t worry. I’m only going to help them build their capital city. I am repaying them for bringing me back to life. Once that’s done, we can be together again. I’ll be sending these live messenger balls every week so we can talk and see each other” reassured Simon. Carol at first cried harder but then slowly nodded. Chucky approached the holographic version of Cathy. “I… I’m gonna miss you” he sobbed. “I will as well, Chucky. I will always love you,” said Cathy tearfully. “I will always think about you,” sobbed Chucky. “Me too, Chucky” said Cathy tearfully. She then blew Chucky a kiss. “Well, goodbye everyone. It was fun working with all of you” saluted Simon. “Thanks for everything, mate” saluted Dave. “We will never forget you both,” said Vicky. “You two had been valuable allies as well as worthy enemies” stated Zeus respectfully. “Goodbye old friends. You guys were the best,” stated Charles respectfully. “I love you, Cathy,” sobbed Chucky. “I love you too, Chucky,” said Cathy tearfully. Zeus and the Rogue Warriors waved goodbye at Simon and Cathy. “Goodbye” waved Simon and Cathy. Afterwards the ball then broke apart. After a few seconds, they all slowly started to walk away from the graves. “Well, that was a surprise for a funeral,” stated Dave. “At least we know that they’re alive,” said Helen happily. “Yeah, but we’re never gonna see them again” stated Chucky sadly. “Yeah. I am however happy to the fact that they’re ok” stated Carol with a slight tear to her eyes. “Let’s just go on living for them and do what we do best. They would want it that way,” stated Charles. “You’re right, Charles. Now if you’ll all excuse me, I have to get back to my factory,” said Zeus as he headed of to the opposite direction. The Rogue Warriors just looked on. “Do you think he’ll go back to his old ways?” asked Vicky. “Probably. Who knows?” asked Carol. “Oh well. If he does, we’ll be ready for him” stated Charles. 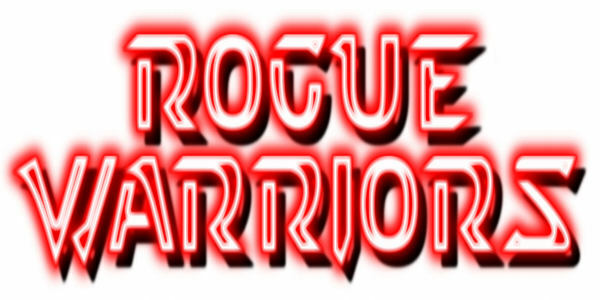 The Rogue Warriors continued to walk on and tried to settle in and continue their lives.